Onion shampoo is the best solution to stimulate hair growth and to put a stop on the most dreaded hair condition, known as hair fall. Not just women, men also get irritated with this hair problem. 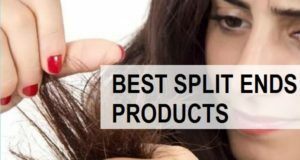 Apart from that hair issues like dandruff, split ends and rough hair strands also tops the list of hair issues that people would want to avoid. 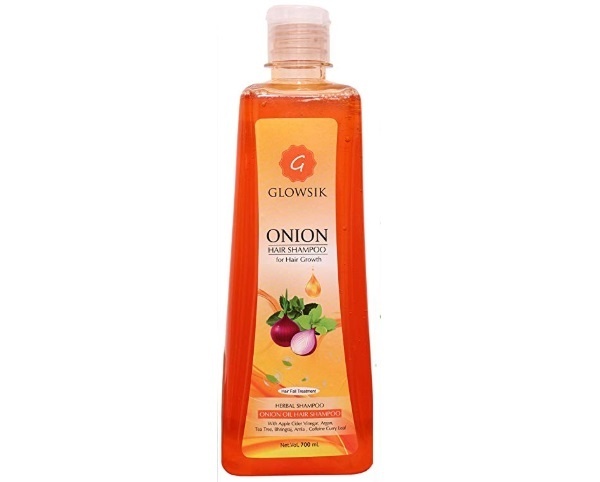 Onion shampoos have been known since ages to give you beautiful shiny hair. By increasing the density and thickness of your hair, such shampoos accelerate the growth of hair. 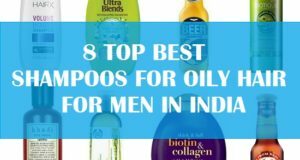 In this article, I have compiled the best onions shampoos available in India at different prices. 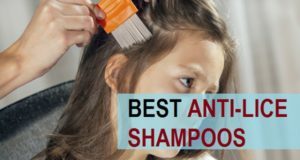 All of the shampoos have received best ratings from the users. Choosing onion shampoo is the best thing that you can do to curb hair loss. Onion has antibacterial properties that help to fight the infection on your scalp. They are anti-fungal in nature, therefore aids in elimination of dandruff and itchy scalp. 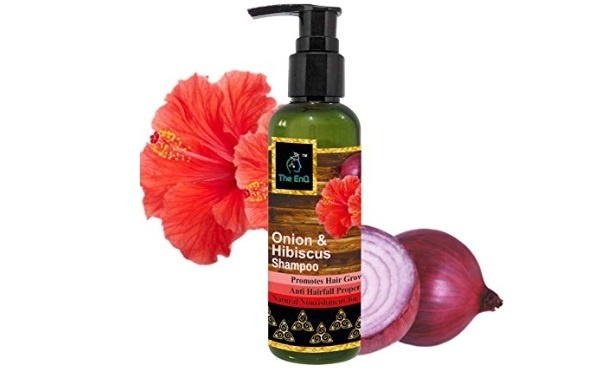 Onion shampoo increases the shine and smoothness of the hair follicles. It restores the hair cuticle health and makes them smoother. When your cuticle is smooth, the hair is less likely to break due to the tangles and roughness. Onions are rich source of sulphur, which boosts the blood circulation of the scalp and thereby promote the growth of new hair follicles. This mineral is also known to combat the hair loss. Onion is among those Ayurvedic ingredients which are powerful to restore the lost nutrients and shine from your hair. 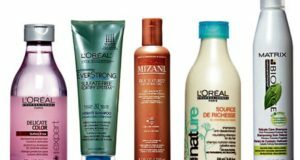 Such shampoos make your hair stronger and resilient to fight the everyday stress, wear and tear. They are also good hair cleanser that dislodges the impurities and dirt along with grease from the scalp. When your scalp is oily then such onion shampoos are best to try. They also make your hair prevented from the premature hair graying. Other than promoting the growth of new hair, use of onion shampoo controls the hair thinning and receding hairline in case of women. People who have bald patches have seen satisfactory results by using onion rich hair cleansers. Even when you are experiencing hair loss related to dandruff and itching, onion shampoos have shown massive difference. 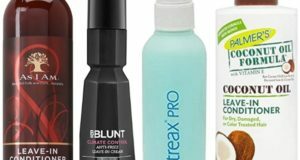 You can use these shampoos everyday or on every alternate day for getting best results. 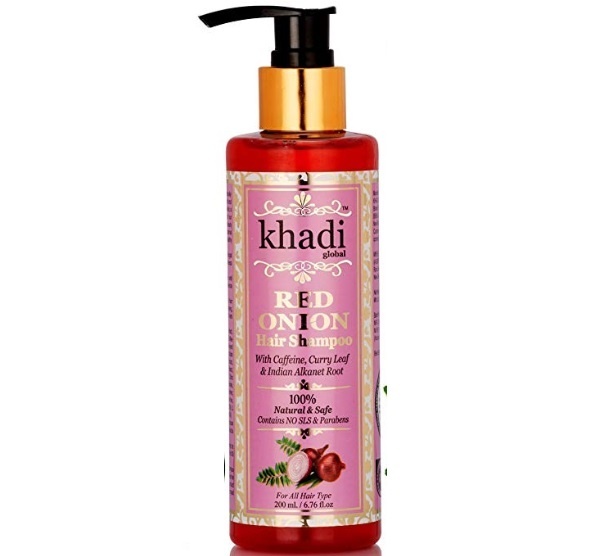 Khadi global product is the best onion rich shampoo, formulated with caffeine curry leaves. The curry leaves which shampoo is extremely useful to combat the DHT related hair loss in men. It is 100% natural and safe product that contains no parabens or sulphate. Curry leaves are a rich source of proteins and beta-carotene that helps to minimize the hair loss with the presence of protein. It prevents hair thinning with caffeine and Ratanjot compounds in IT. The oil is infused with the effective ingredients that also help to promote the hair growth. It stimulates hair to grow back and to block the effects of testosterone to minimize the hair loss. It is a suitable shampoo for all hair types, that can be applied daily to even the colored hair. 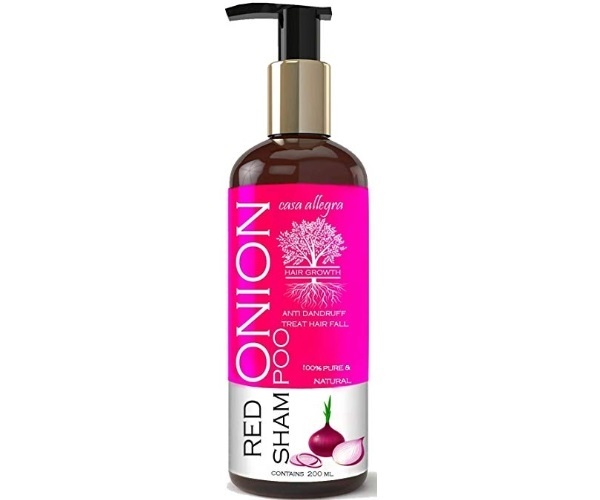 This red onion shampoo is made for the intensive growth of hair. It is effective in controlling the hair fall and minimizing the hair root damage. The shampoo has an effective lathering formula that conditions your hair and reliefs the scalp of the dryness and itchiness. The product helps to improve y our hair texture and make them moisturized. Breakage due to roughness of your hair, is also one of the main reasons of your hair loss. Onion is a natural source of quercetin, which is an powerful antioxidant along with Sulphur, that is known to make your hair grow thicker and faster. So, the shampoo is known to not just give you beautiful hair but it is a paraben and Sulfate free formula, that is suitable for all hair types. Red onion shampoo is topped up with fenugreek seeds, Kalonji and Amla. Kalonji is also known as Black seeds and they are excessively beneficial in case of hair thinning and balding prevention. These natural herbs and ingredients are known to promote hair growth naturally and to increase the hair thickness. When your hair growth is boosted and hair gets bigger, when naturally your hair looks voluminous. The powerful Ayurvedic formula decreases the effects of pollution from your hair and scalp. 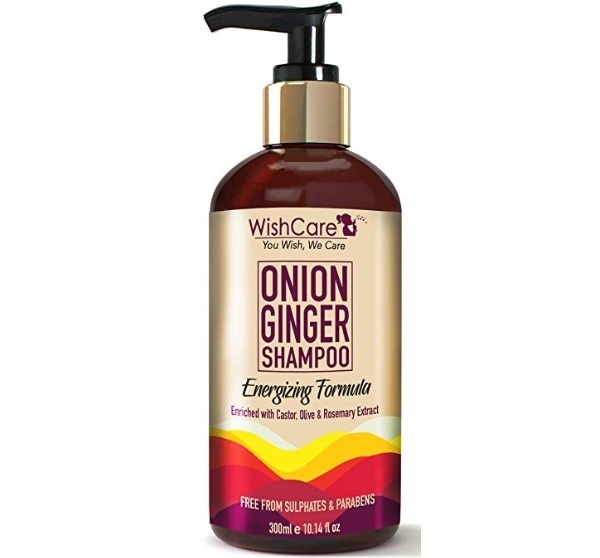 Onion juice in this shampoo is useful for treating hair loss and to boost the level of antioxidant enzyme catalyzes. It nourishes your scalp and hair follicles with its sulphur rich formula. 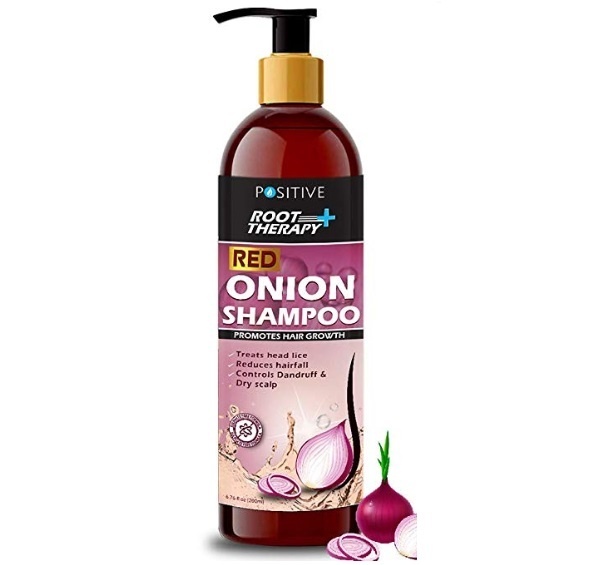 The shampoo is a best seller in this category and is one of the best onion shampoos in India. This next option that we have is not just an onion rich shampoo but it also has Ginger that energizes your scalp and increases the blood circulation. This onion shampoo is loaded with castor oil, olive oil, Rosemary oil and Ginger. You can assume that all these ingredients are effective against the hair loss and hair breakage. Rosemary and castor oil are known to make your hair grow thicker and even faster. It also nourishes your itchy scalp and skin irritations and even dandruff infection. Suitable for all hair types this is safe for colour treated hair and can be used everyday. Take some shampoo on your palm and apply on your wet hair. Massage gently with your fingertips and wash the hair with lukewarm water. The ingredients have unmatched benefits in getting baldness cure. 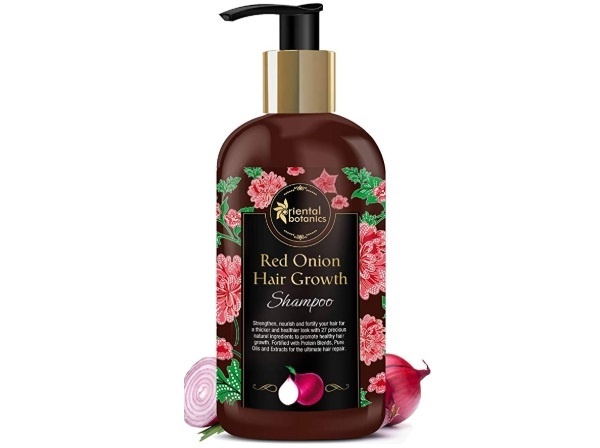 Oriental Botanics Red Onion Hair Growth Shampoo is by far the best product to grow your hair. It also contains biotin, argan oil, caffeine and 27 hair boosting proteins. So all in all, it can be your one stop solution to get beautiful thicker hair. Curry leaf and caffeine helps to combat DHT related hair loss in men. It is SLS, SLES, silicone, paraben free shampoo which is enriched with 27 known botanicals to increase your hair length and growth. You can use it every day and enjoy beautiful looking hair. The shampoo has received high ratings from the customers, who have used it to increase hair growth. It treats head lice and reduces dandruff and dryness. Known to reduce the hair fall, this onion rich shampoo gives good lathers that get rid of the dirt and dust effectively. 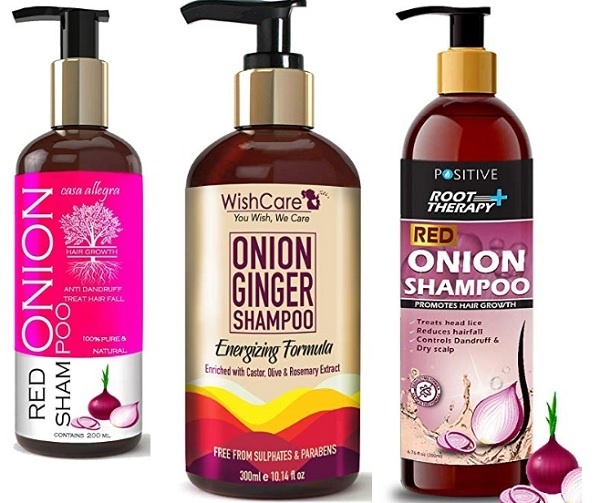 This is indeed the best chemical free onions shampoos in India which is for affordable price. Therapeutic shampoo is Ayurvedic in nature and contains some of the key ingredients like Sunflower oil, Vitamin E, castor oil, Hibiscus extracts, Neem Oil, shea butter, Rosemary oil and many others. Powered with 16 natural ingredients and red onion extract, the shampoo is wonderful for stimulating hair growth and Shine. It controls the dandruff and white hair fall. The shampoo combats premature graying and fights all the possible hair issues that we have, due to pollution. The Ayurvedic and herbal extracts restore the natural beauty of your hair. The shampoo is a unisex product which is free of chemicals. It can be applied everyday or every other day. 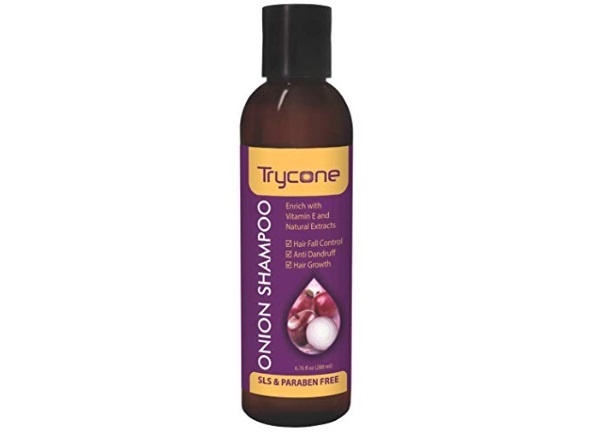 The onion shampoo is made for increasing hair growth and to combat the excessive hair fall as seen in men and women. 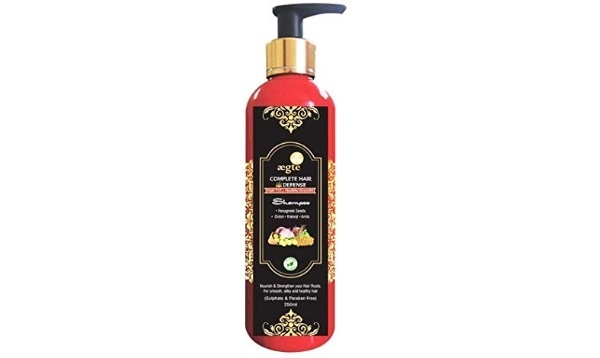 Herbal shampoo comes with apple cider vinegar, Argan oil, tea tree, Amla, caffeine curry leaf and Bhringraj extract. Like we have given you other options above, this is also one of the best onion shampoos with other Ayurvedic ingredients for total hair nourishment. It can be your miracle product to stop hair fall and boost the growth of new hair. The product is paraben and sulfate free without any Chemicals. Trusted by a lot of customers, this onion and Hibiscus shampoo is bound to give you good hair growth when used regularly. It makes your hair re-grow faster and make the hair roots stronger. 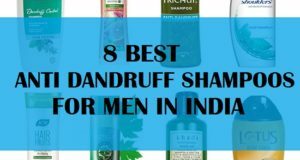 Other than that it also contains Amla, bringraj, Tulsi, Reetha, Jatamasi, mulethi, and aloe vera as the supporting nutrients to give you wonderfully looking shiny hair. It is a sulphate and paraben free formula which is safe for sensitive scalp. You can apply it everyday to control hair fall and accelerate the growth of new hair. For men and women this is one of the best rated products which has satisfied lots of customers. 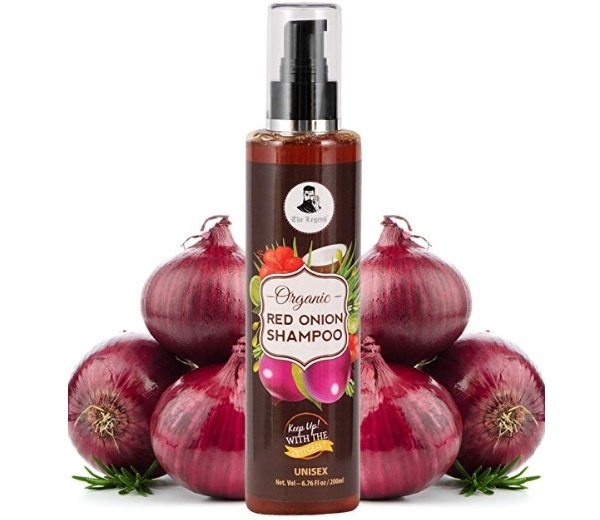 Rich blend of red onion extract with aloe vera Amla, curry leaves, castor oil, Vitamin E, almond oil and loads of other herbal ingredients, as the best shampoo for stopping hair loss. Antifungal properties of its ingredients help to treat dandruff and to give you a clean scalp. It helps in regenerating new hair follicles by boosting the cell production. The product conditions your hair and is free of the parabens and chemicals like SLS. It is also a Unisex product that can be used by men and women. Using onion shampoo can help you in decreasing the hair loss and to minimize the hair fall effectively. Make sure that along with that you also take a protein rich diet. Proteins are the building blocks of your hair and therefore if you are experiencing heavy hair loss then a protein rich diet can help you slow down the loss of hair prematurely.